Life insurance companies are balancing the increasing use of celebrity endorsers by limiting the association to short, event-led campaigns, finds M Saraswathy. 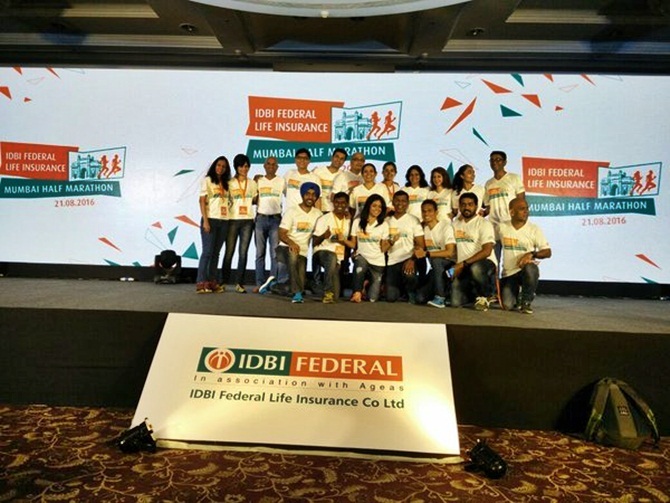 It seemed like an extravagant debut, especially for the usually low-profile life insurance company, IDBI Federal Life Insurance when it signed on cricketing legend Sachin Tendulkar for its first three-city half marathon to be held later this year. Tendulkar, who is believed to charge anywhere between Rs 80 lakh to about Rs 2 crore, depending on the deal and tenure, was an expensive choice. Was the brand being profligate with its budgets? On the contrary, industry experts say, the company has been judicious in its use of a star brand by limiting his involvement to one event. As life insurance companies look to build a strong suite of mass brands, they all want endorsers like Sachin, whose appeal cuts across demographic and geographical boundaries. Not many can afford the expense, however. Hence, just as IDBI Federal has done, celebrity associations are being sealed for short-duration events and high decibel campaigns; the aim being to maximise impact with minimum involvement. For instance, Reliance General Insurance has an ongoing campaign on Twitter, which asks people to pledge their support against child labour. 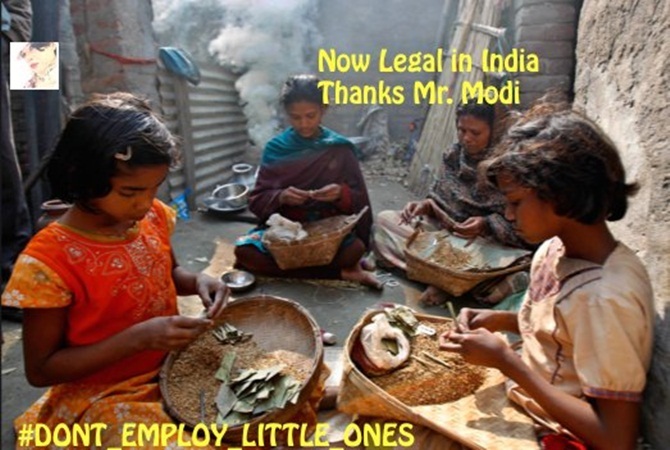 Called #dontemploylittleones, the campaign is supported by Sachin Tendulkar, Viswanathan Anand, Soha Ali Khan and Mandira Bedi among others. Getting so many big names on board for a traditional campaign would have punched a large hole in the marketing budget, but short campaigns around a popular cause help balance the columns better. "Sometimes, we may not have the budget to sign a celebrity as a brand ambassador. However, getting them for one particular initiative helps create the right buzz on social media," said the marketing head at a mid-size life insurer. Creating a buzz is critical as it lets the brand extend its impact on social media even after the event is over. 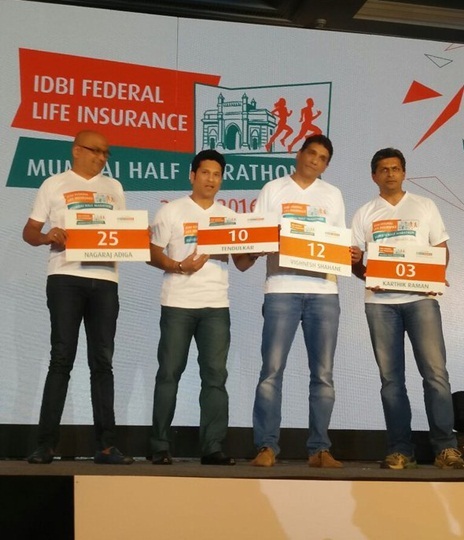 For example, the first race of the IDBI Federal Life Insurance Mumbai Half Marathon will be on 21 August 2016 in Mumbai and later in Kolkata and Delhi. For IDBI Federal, getting Sachin aboard will keep people talking about this long after the marathoners have gone home. The company has also pledged part of the proceeds from the 5K Run for restoration of Mumbai's heritage sites and allied with Apnalaya as a charity partner, all in an effort to keep social media buzzing. Many life insurers are keen on running, for it is a sport that fits in with their message and its popularity is soaring. 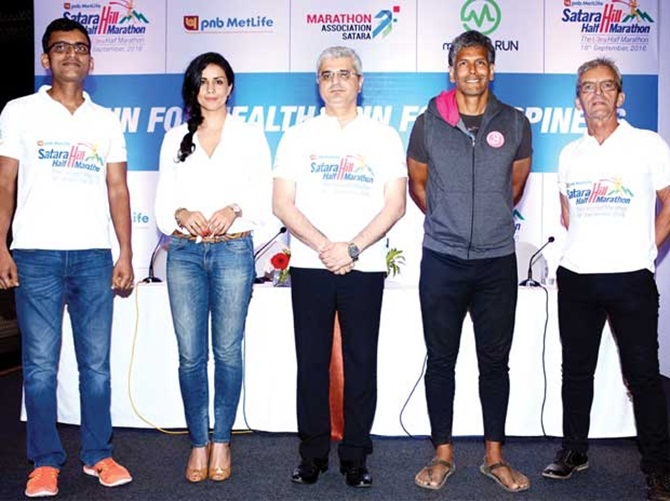 PNB MetLife Insurance's second edition of the Satara Hill Marathon is in September and it has Milind Soman and Gul Panag on board. 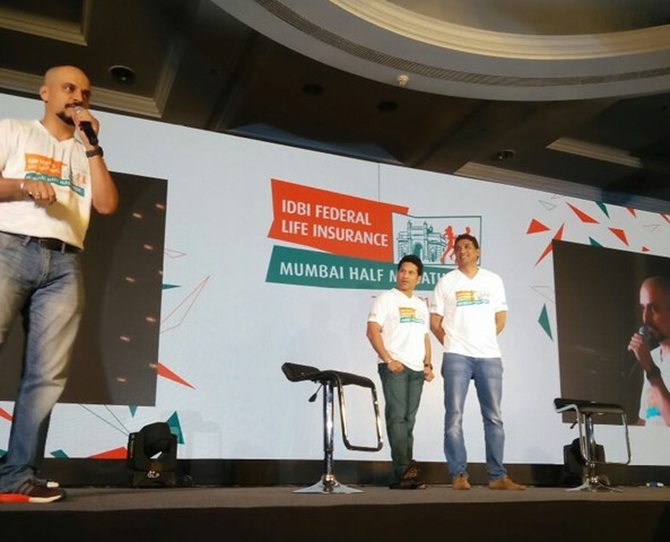 Niraj Shah, director (marketing, strategy and products), PNB MetLife said, "Marathons are becoming increasingly popular. In our bid to bring more value and increase engagement with runners, we have associated with seasoned running icons. Celebrity status aside, they are also regulars in the Indian marathon circuit." PNB MetLife has also appointed badminton player Vaishnavi Reddy as brand ambassador for their Junior Badminton Championship. Celebrities are being sought out for a variety of events and causes, not just sports. HDFC Life recently launched HDFC Life YoungStars, an online talent hunt for children for dancing, singing, musical instruments and comedy. Lauren Gottlieb, Cyrus Sahukar, Raghav Sachar and Siddharth Mahadevan will mentor the selected kids and digital entertainment provider #fame and Maxus are a part of the initiative. Sanjay Tripathy, senior executive vice president and head-marketing (analytics, digital and e-commerce), HDFC Life said that as a brand they have believed in being more than just a financial enabler and they have gone a step further to create a platform where parents can help kids nurture their talents. Shamik Banerjee, chief marketing officer, Aegon Life Insurance said that the nature of celebrity endorsements is changing. In the past, there were a few celebrities (typically from cricket and Bollywood) who were wooed by every brand, but today, there is a growing demand for domain experts who, may or may not be known, outside their areas of influence. Last year, AEGON Life Insurance launched a Twitter campaign called #nothingwillhappen for its flagship protection plan iTerm. The campaign had stand-up comic Atul Khatri as its face. "We want to take a light-hearted approach to life insurance. Similarly, for our cancer product we used Vir Das and 'pajama festival' (one of India's largest comedy festival) to spread awareness," he said. It helps that most celebrities today command a huge following on social media and engaging with them, these brands hope, will eventually lead them to a larger audience. POLL: Should celebrities be more responsible for products they endorse?